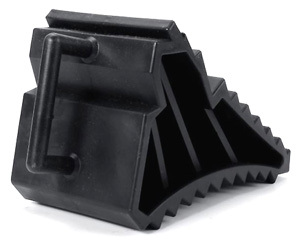 SECURITEX HEAVY DUTY PLASTIC WHEEL CHOCK WC-1599 is designed for easy deployment of the Plastic Wheel Chock where ever needed. Its anti-slip and anti-skid designed prevent vehicle from moving laterally when park on flat ground. 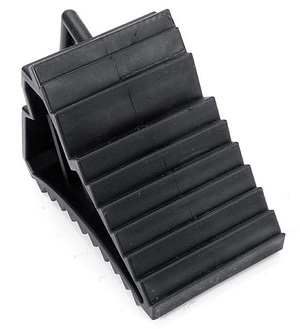 This Plastic Wheel Chock is very useful for use on Car. Truck. Buggy. Firefighting Foam Monitor. Trailer. Caravan and even chocking the huge diameter pipes, drums and industrial trolley in construction site and factory shop floor. - Light weight design for portability but very strong for use. - Prevent vehicle from moving by keeping wheel in place when the wheels are being chock. 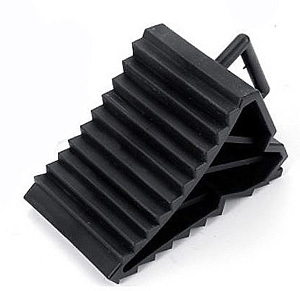 - Easy access and convenience to put in your boot or tool box as its very small. - Applicable for Car. Truck. Buggy. Firefighting Foam Monitor. Trailer. Caravan and even chocking the pipes, drums and industrial trolley. 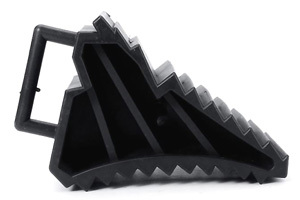 The above is supply in a pair of 2 wheel chock or Single unit. 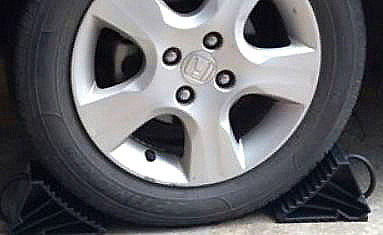 Wheels chock intended use is to wedge the wheel so that it will not roll over. It is not for drive over the chock. All driver must still maintain their hand brake in good working order and must ensure that the hand brakes are applied at all time not only on slop but on flat road surface as well. Securitex Electronic Systems Engineering. All rights reserved.